This webpage is providing you entire details in regard of admission in MBA through CAT. Applicant should fulfill the eligibility criteria to fill the Application form Online. Notification has released for various courses. Engrossed entrants must do online registration before closing date. This page is going to release relevant information regarding CAT Date Schedule. 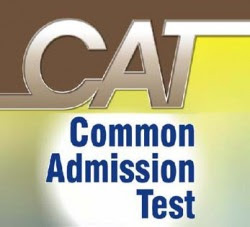 CAT (Common Admission Test) is a national level examination which is performed by the IIMs (Indian Institute of Management). This exam is a computerized test included in the quantitative ability, verbal ability, data interpretation and logical reasoning. CAT exam is held every year in the month of November. All the candidates should fill up the application form on or before the last date. Aspirants can get more details before applying, such as eligibility details, selection process and how to fill an application form, etc. through this page. The participant must hold a Graduation Degree, with at least 50% marks or equivalent CGPA (45% in case of the applicant belonging to Scheduled Caste (SC), Scheduled Tribe (ST) and Persons with Disability (PWD)/Differently Able (DA) category) awarded by any of the Universities integrated by an act of the central or state legislature in India. Contenders pursuing the final year of Graduation degree/equivalent qualification examination and those who have completed degree requirements and are awaiting results can also apply. Any Qualification documented by organization of Indian Universities New Delhi, which is equivalent to a Bachelor’s Degree awarded by UGC standard University/Institutions. Cases not covered above equivalency certificate to be formed from Association of Indian Universities New Delhi. Using the system generated User ID and Password received, you can login as “Existing User” on the site, fills the Application Form for CAT. Candidates applying for PGP/ PGDM courses at the following IIMs are requested to select the same interview city for all the selections. (Upload the scanned image of your passport photo within the proportions of 35mm X 45mm. Also, upload the scanned image of your signature within the dimensions of 80mm X 35mm. The documents file format should be a .jpg or .jpeg and the file size should not be more than 80KB each. The image should be clear with a minimum resolution of 150px/inch). Admission Process ->> The admission procedure will be made on the basis of Personal Score, Written Ability Test (WAT), Group Discussion and Personal Interview.